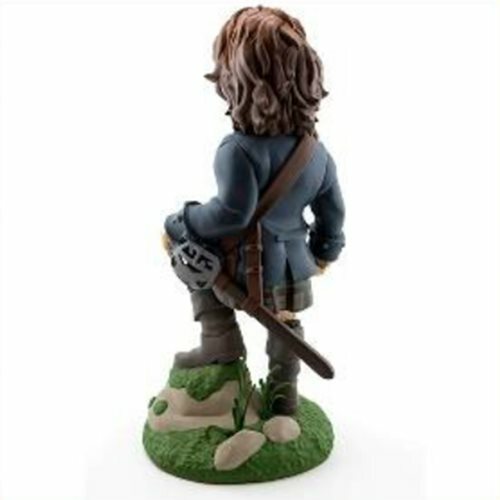 This 7-inch collectible vinyl figure captures Jamie Fraser as portrayed in the historical time-travel drama Outlander. Standing on the rocks in 18th century Scotland, Jamie dramatically looks out across the Highlands, ready to battle for his soulmate Claire and his family. 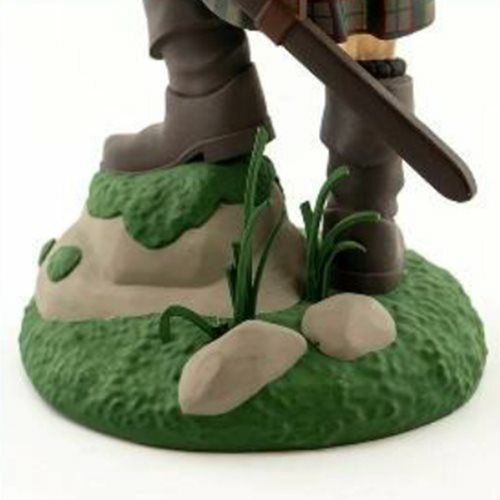 Outlander fans have dubbed such depictions of Jamie Fraser on the rocky Scottish Highlands as "Scotch on the rocks." 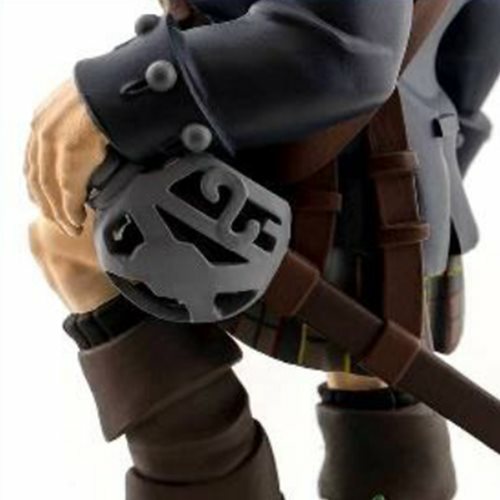 So, the figure comes packaged in a full-color closed box designed to look like a box for a high-end bottle of Scotch. 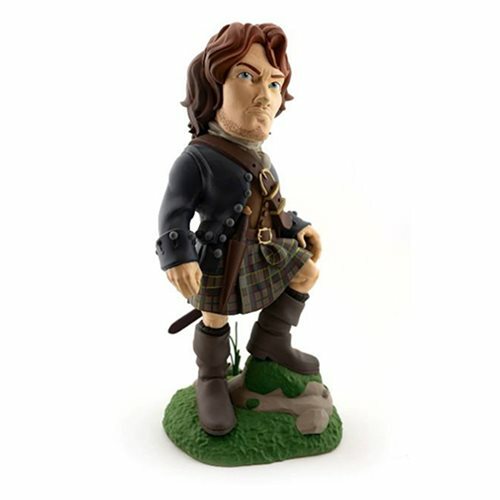 It features an image of the figure and actor Sam Heughan.